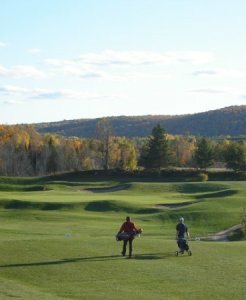 We are very pleased to have partnered with our local accommodations providers, all of whom are located within minutes of the course, to offer a great Stay and Play golf package. It is easy to arrange your golfing holiday, just select the type of accommodation that suits you and your host will make all the arrangements. This promo will run 7 days a week in May, June, September & October. During the months of July & August, eligible times will be restricted to Monday, Tuesday, Wednesday & Thursday. We have partnered with local resorts to offer you a variety of different accommodation options. To book your stay & play package, simply contact one of our partner resorts and they will handle the rest. Located opposite beautiful Kamaniskeg Lake in Barry's Bay, Ontario, The Ash Grove Inn is a perfect place to spend your next holiday. The Ash Grove Inn features a fully-licensed dining room and serves homemade country-style food seven days a week. Experience country hospitality in our new home set amid open meadows and a nearby hardwood forest. 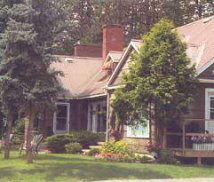 Owned and operated by experienced Bed and Breakfast hosts and world travellers, the Deakins on Mountainview is one of the "Best Places to Bed and Breakfast in Ontario"
Fortune's is a unique Inn nestled in the bush of the Madawaska Valley. We take great pride in offering our guests individual attention. Your comfort and relaxation in a peaceful, quiet setting is our goal and we work hard to achieve that. Our dining room is the heart of the Inn and your visit is not complete without a meal cooked by owner and Chef Warwick Fortune. Scenically set within a backdrop of rolling mountains, nestled between the historic towns of Barry's Bay & Wilno in the heart of Ontario, the Mountain View Motel is the perfect spot to relax and enjoy the great outdoors. 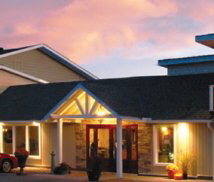 All the comforts of home as well as a friendly atmosphere are awaiting you at our motel. Newly updated rooms, spacious chalets with fireplaces, beautiful surroundings, spectacular sunsets, sumptuous meals, spa treatments and truly gratifying service. 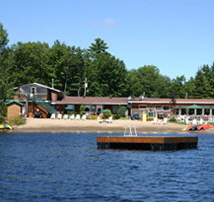 Friendly staff, superb food and a cozy and comfortable atmosphere await you at the Sands on Golden Lake. Located in the picturesque Ottawa Valley, just 20 minutes east of the East Gate of Algonquin Park on HWY 60. We are a year round facility offering accommodation in lodge rooms or cottages, a full restaurant with breakfast, lunch or dinner, a lounge to relax and enjoy evening cocktails, and our Terrace Room to accommodate meetings or receptions.